Crypto-enemies accuse Bitcoin of being an excessively energy-consuming process which has nothing to offer. Meanwhile, many of them could be participating in another environmentally-destructive activity; decorating their households with Christmas lights. Which one is worse? Bitcoin mining has frequently been accused of being catastrophic to the environment. However, there are some seemingly “innocent” traditions that no one has ever thought that they could be causing larger damages than crypto mining does. According to a study from 2008, the electricity that U.S. households consume to light up their trees and houses during Christmas is higher than the total annual consumption of several developing countries. 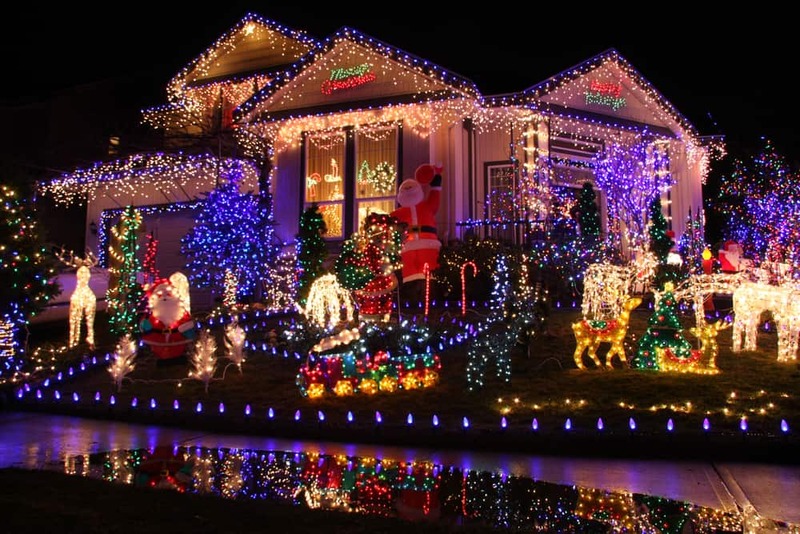 Todd Moss and Priscilla Atansah of the Center of Global Development, used data from the US Energy Information Administration (EIA) to find that Americans consume 6.6 TW of electricity to decorate their houses during the Christmas holidays. That’s more energy than El Salvador, Ethiopia, Tanzania, Nepal, or Cambodia use for their necessities during a whole year. At the same time, Bitcoin’s current estimated annual electricity consumption is 54.06 TW, based on Digiconomist’s Bitcoin Energy Consumption Index. That’s enough energy to power about five thousand U.S. households. If we were to assume that Christmas lights remain lit for about a month, then the equivalent in monthly Bitcoin mining consumption would be 4.5 TW. As it appears, lighting rooftops to welcome Santa Claus in the United States requires two terra watts more electricity than the Bitcoin network takes to operate globally. While decorating Christmas trees is a joyful tradition, the excessive energy they require is undoubtedly a waste of natural resources. On the other hand, mining is the backbone of the Bitcoin blockchain, as miners dedicate their resources to ensure the network’s integrity and maintain high levels of security. They use large computational grids that require immense amounts of energy to crunch complex strings of code, to discover the next block of the chain, and get rewarded with newly created Bitcoins. By default, finding a new block will get harder in time; hence Bitcoin mining will only become more expensive, and therefore a more energy-demanding process. Naysayers, such as the renowned economist Nouriel Roubini, claim that Bitcoin miners spend enormous amounts of money to purchase useless Application-Specific Integrated Circuit (ASIC) machines, to participate in a meaningless process that has nothing to offer. Additionally, they say Bitcoin has no intrinsic value, and it has failed to serve as an alternative system for everyday payments. Earlier this month, we saw numerous crypto mining farms declaring bankruptcy due to the ongoing downfall of Bitcoin’s market price, which has turned mining into an unprofitable business. To Support the Evolution of Technology or to Add More Lights During Christmas? Bitcoin’s future remains a question mark as its price fluctuates aggressively, discouraging miners from going on. Bitcoin is far from the 2017 frenzy when everyone wanted to jump on the bandwagon. Fewer miners could put the network’s security at risk and expose it to double-spending attacks. Miners have explored ways to optimize mining costs, by migrating their operations to regions with cheap electric power, or alternative methods like green technology. Therefore, Bitcoin’s profitability is vital for its evolution until we can finally assess whether cryptocurrencies could be valuable to our lives or not. Is Bitcoin mining consuming too much energy? No doubt. Are cryptocurrencies meaningless without reason for existence? Absolutely not. Cryptocurrencies and blockchain technology are one the most significant advancements of this century. Christmas lights in the U.S. represent 0.2 of the country’s total power consumption per year. Thus, it is an oxymoron to blame Bitcoin for an environmental disaster, while everyone remains silent for other similar cases like Christmas lights. Personally, I will always prefer to support the right to have a “democratized” payment system than brag to my neighbors over the best-looking Christmas tree.